Most direct and digital marketers are familiar with the term database marketing; the practice has been in use for almost 30 years. At IWCO Direct, we’ve been building and managing customer marketing databases for years. However, the explosion in additional data sources (email response, web browsing behavior, social media, search results and more) means that database marketing’s potential for more effective use continues to grow. We know that the more data sources feeding a database increases, the more effective it becomes. The value of database marketing continues to rest upon the 80/20 rule; that is, 80% of your profits will come from 20% of your customers. Therefore, the most effective marketers make use of a customer database and its data to target their customers and analyze their behavior. In spite of database marketing’s potential, many marketers either still don’t have a marketing database or don’t know how to leverage its full potential. For some organizations new to direct and digital marketing, their “database” may consist of little more than an email file maintained in-house or by their email service provider. Many times, all email subscribers receive the same promotional email with little to no effective targeting or segmentation. While these marketers may consider this practice of sending email “blasts” (in my opinion, a revealing term) “cheap” and “easy,” it carries a hidden cost not usually reflected in email opt-out rates. Customers receiving frequent emails that aren’t relevant or personalized to their needs tune out these messages, and they become a destructive waste of branding, time and money. Non-targeted emails generally reflect an organizational marketing culture that does not take a test-and-learn approach to new and proven channels. So What Should a Real Marketing Database Be Used for? And Why? If we come back to the 80/20 rule, it follows that a properly built marketing database will identify best customers – and those with best customer potential – for targeting and special treatment. Knowing who these best customers are enables marketers to append additional demographic, psychographic and attitudinal data, as well as conduct market research to create detailed customer profiles to inform effective creative and messaging. 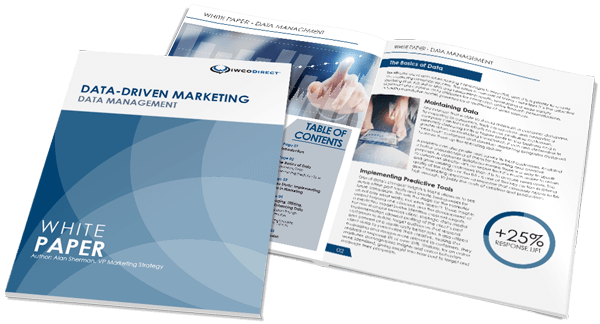 The best customer strategies that generate incremental revenue include additional triggered touches based on the customer lifecycle, customized offers and benefits, and preemptive retention and loyalty tactics. Capturing and understanding both customer multichannel purchase behavior and promotional response data enables us to craft more sophisticated and higher-responding marketing strategies. A marketing database can also provide the structured environment for effective campaign test design and measurement. This allows marketers to assign customers to a campaign control and test cells, hold out non-promotional control cells and measure accordingly. The value gained from customer analysis is crucial to crafting engaging customer touchpoints. Analytics work done to segment customers for customized targeting can be housed and automated within the database update process. Not only do analytics and segmentation power more relevant and profitable targeting, but they drive marketing cost savings and efficiencies because we don’t waste valuable marketing dollars on those unlikely to respond. This is much easier to do within the structure of a marketing database. The marketing database update process usually includes data hygiene, standardization and linkage processing which is essential for proper and effective targeting, cost savings and the linking of cross-channel customer behavior. Without a marketing database, data hygiene and standardization are either not done or done in an ad hoc, redundant and ineffective manner. Linking cross-channel purchasing and behavior simply can’t be done without a marketing database. Building an effective marketing database managed by those versed in leveraging data is not always easy. However, when done properly by skilled database marketers and strategists, the payoff and return on investment are evident. We gain greater marketing profitability, increased traffic to physical sales outlets, improved brand loyalty, and valuable knowledge of customers that can benefit the entire business. IWCO Direct provides both the technical and strategic expertise to create systems and processes that deliver greater marketing efficiencies and profitability. If you’re interested in speaking about how database marketing can power your marketing, please feel free to reach out to me. Vice President, Marketing Strategy. Boston University alum with an MBA from City University of New York. Brings more than two decades of direct and digital marketing strategy, testing, and project management expertise to make customers extraordinarily successful. Husband and father who splits his loyalties between the NY Giants, Boston Red Sox, and Boston Celtics. Fan of concerts, traveling, non-profit volunteer marketing, and walking the dog even though it was just out.